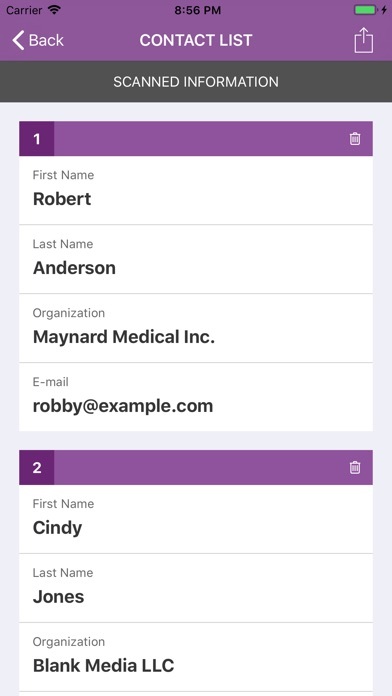 Using C.CAN, convention participants can easily share each other's contact information. 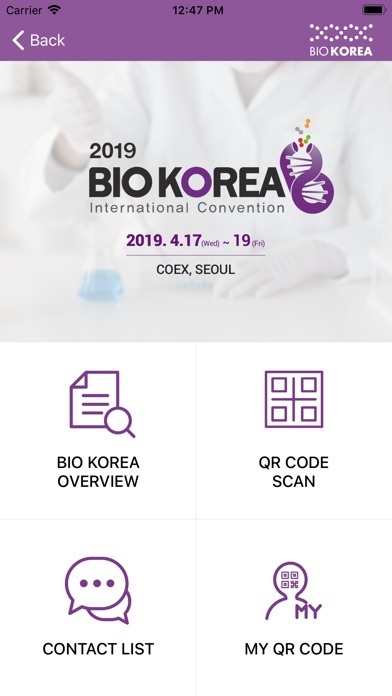 C.CAN can also scan all types of QR codes (such as for viewing documents, surveys, etc.) at conventions, conferences, and elsewhere. ◆ SCAN QR CODE - Scan and save personal information instead of exchanging business cards. - Scan and view information without having to print out documents. 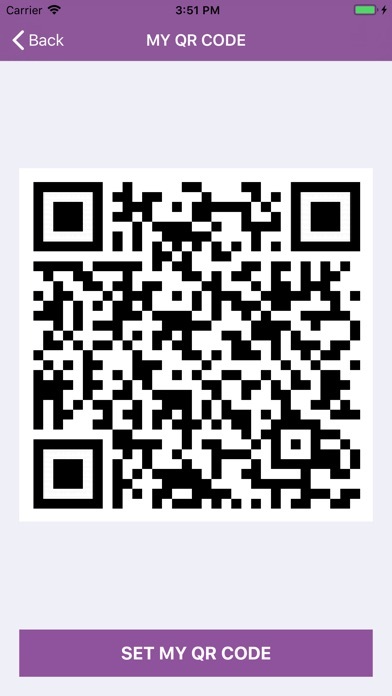 - Scan and participate in events such as surveys, etc. ◆ SHARE - It shows all the information you have collected at a glance, and can share a CSV file for spreadsheet or other kinds of apps. 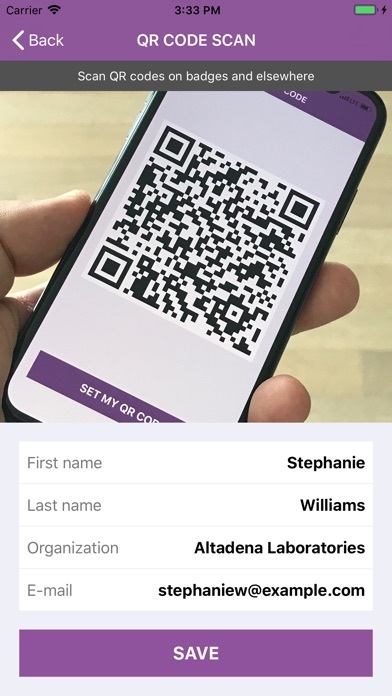 ◆ MY QR CODE - You can set your own QR code so that you can exchange information with other conference attendees even without a badge.